I had the priviledge to know and be personal friends with Jean Chapman. She was an artist, a really good artist. 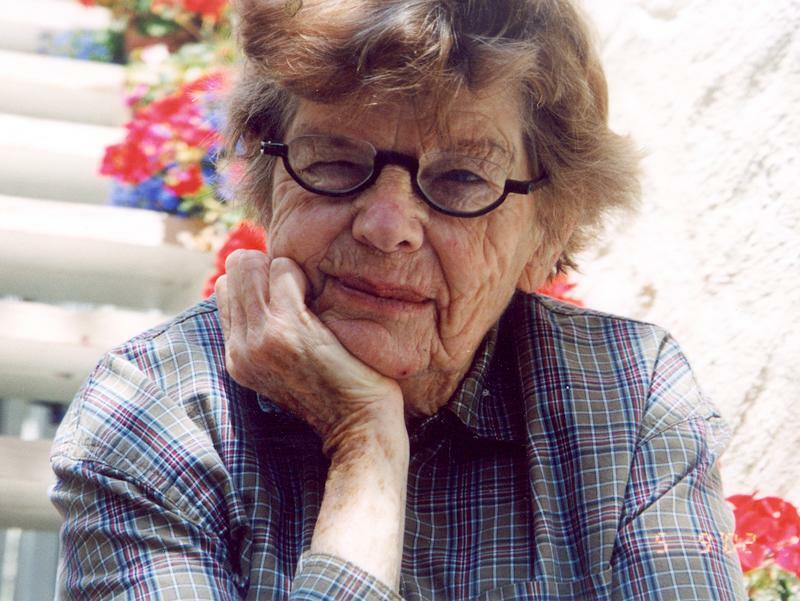 She liked to paint, and draw, and collect, and share her talents. She was also my greatest fan. I loved showing her what I had made, or was working on. She always liked it and lavished me with praise. Who wouldn’t love that kind of encouragement. Jean passed away last year. She was 95 years old. I really miss her so much. I am also close friends with her son, Ed, and his wife Edie. So Edie ask me a couple months ago if I would make a quilt out of Jean’s clothes. She wanted a lap quilt for each of Jean’s daughters and wanted to give it to them for Christmas. I, of course, said yes. There’s not much I wouldn’t do for Ed and Edie. When I received the bag of clothing I went through them and cried. She had worn these clothes and they were so Jean. The fabric were silks, polyesters, rayons, linens, none of which we use for quilts. But I was determined to make it work. So I bought fusible interfacing and got to work. I cut all the clothing apart and took off all the buttons. I cut everything I could into 6-1/2″ squares, fused the interfacing and starting arranging them on my design wall. 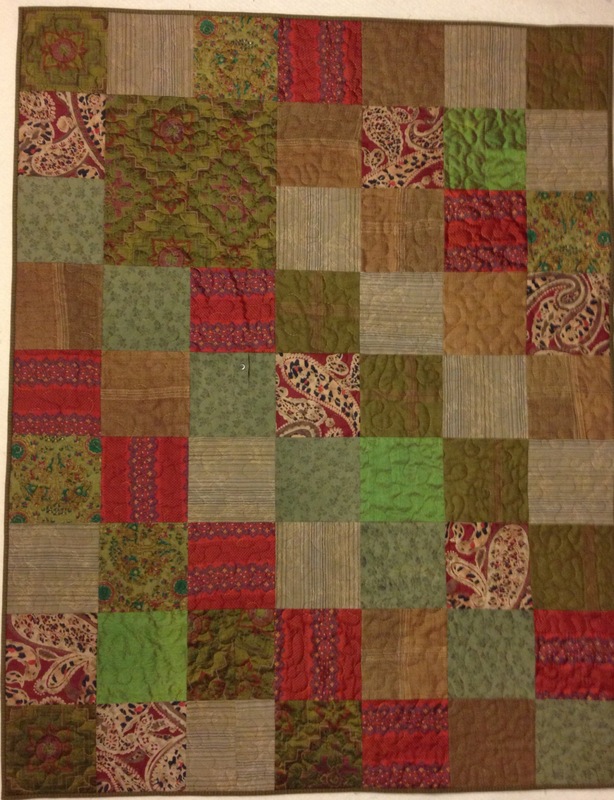 I did have one large 12-1/2″ square in each of the quilts. And here is the finished quilt. It is a labor of love and memories of a wonderful lady. Congratulations, Sis! Beautiful piece of work. Obviously a kindred soul, too!